Wicked Broadway musical in the $2 Million Club with the grossing $2,118,401 and had an attendance rate of 93.9%, about 4.8% less than that of the previous week. The Lion King musical on top of the list with the grossing $2,624,288. Aladdin (Grossing $1,854,407), Hamilton (Grossing $1,490,816) and The Book of Mormon (Grossing $1,474,355) are in the list next to Wicked. The 28 shows on the boards grossed $28,789,622, improving around 2.56% from the previous week’s totals. Below are the Top 22 Grosses from BroadwayWorld.com for the week ending August 02, 2015. Wicked musical will be coming for the third time to Buffalo, NY for a three-week run at Sheas Performing Arts Center (646 Main Street, Buffalo, NY 14202) from January 8 to January 26, 2014. Hayley Podschun and Jennifer DiNola are the main cast in “Wicked,” which returns to Shea’s Performing Arts Center for the third time. Wicked musical will play through January 26, 2014 at Sheas Performing Arts Center. Buy Wicked Buffalo NY Tickets Online. Avail 10% Discount on ALL Wicked Ticket Orders, Simply enter code TN10PCTOFF at checkout for discounted tickets (This discount code will be active onlt for a week from Tuesday, January 07 to Monday, January 13, 2014). Wicked Musical was voted No. 2 in the Top 100 Musicals chart by Listeners of JemmThree, the UK’s first 24/7, presenter-led radio station devoted to musical theatre. JemmThree is the UK’s first internet radio station dedicated to stage and screen musicals, launched on the 29 May 2013 with a focus on contemporary shows. Les Miserables has been voted No. 1 musical of all time. JemmThree is the UK’s first internet radio station dedicated to stage and screen musicals, launched on the 29 May 2013 with a focus on contemporary shows. 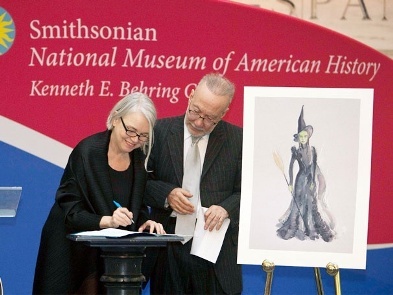 The blockbuster Broadway musical Wicked celebrated another landmark on December 17 when Tony winner Susan Hilferty’s gorgeous Elphaba costume was inducted into the Smithsonian’s National Museum of American History. Hilferty’s design joined pieces from the musicals Rent, Hello Dolly!, The King and I, Cats and The Lion King in the museum’s permanent entertainment collections. The dress, hat and broom that are featured in the current “American Stories” exhibit were originally made and worn on Broadway by actress Mandy Gonzalez. To commemorate the occasion, Broadway cast members Donna Vivino and Tiffany Haas sang selections from the show. In the photo above, Hilferty is joined by the acting director of the museum, Marc Pachter, and a sketch of the costume. Wacth Wicked Musical live on stage at the Gershwin Theatre. Wicked is a standing production in London United Kingdom. On Saturday (Sep 08, 2012), Wicked musical that tells the untold story of the Witches of Oz, played its 2500th performance at London’s Apollo Victoria Theatre. Wicked musical also will reaching the landmark of completing the successful 5 years in West End as its 6th Birthday is on Thursday 27 September 2012. “Packed with wit, storming songs and beautiful costumes” (The Guardian), Wicked will fly into its 7th year as the 18th longest-running West End musical of all time. The London production of the global musical phenomenon has now been seen by almost 5 million theatregoers since its West End premiere in 2006. Buy Wicked Apollo Victoria Theatre Tickets Online at discounted prices, Get $10 OFF on Orders of $350 or more by using code AFF$10. Wicked Musical Planning UK Tour in 2013? There are gossips that the producers of Wicked Musical are planning to take the hit musical on a first UK tour in 2013. Wicked is a standing production at Apollo Victoria Theatre. First opened on Broadway in October 2003, Wicked – which tells the “untold story” of the Witches of Oz – received its West End premiere in 2006 at the Apollo Victoria Theatre, where it has been seen by over 4.5 million people to date. If confirmed, it would mark the show’s first UK tour and would likely run along with the West End production. The Lion King and War Horse are also planning for their inaugural UK tours in 2013. 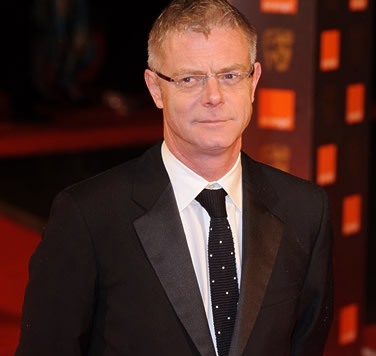 Tony winner Stephen Daldry, director of Billy Elliot: The Musical, is now the frontrunner to direct Universal’s big screen adaptation of the blockbuster musical Wicked, according to Deadline.com. Directors previously rumored to helm the project include Ryan Murphy, Rob Marshall, J.J. Abrams and James Mangold. No casting or start date for the project have been announced. Wicked musical opened on October 30, 2003 and won three Tony Awards. A reimagining of the classic The Wizard of Oz, Wicked spotlights the untold stories of two of Oz’s most famous characters, the Wicked Witch of the West and her unlikely friend, Glinda the Good. The Broadway production of Wicked currently stars Jackie Burns as Elphaba, Chandra Lee Schwartz as Glinda, Richard H. Blake as Fiyero, Randy Danson as Madame Morrible and Adam Grupper as The Wizard. Wicked is currently touring in San Diego, CA and Ottawa, ON Canada. West End musical Wicked has picked up three prizes at the inaugural Mousetraps, a new set of awards voted for by young people. Wicked Musical show won for best ensemble and show I would most recommend to a friend, while its home the Apollo Victoria also won the most welcoming venue award. The awards were organised by Mousetrap Theatre Projects, a charity that helps disadvantaged young people attend theatre in the West End. More than 350 young people aged between 15 and 23 voted for the winners. Wicked musical opens on Wednesday, February 01 at the Plaza Theatre. It’s expected to bring thousands of people into the downtown area who are expected to spend some green. 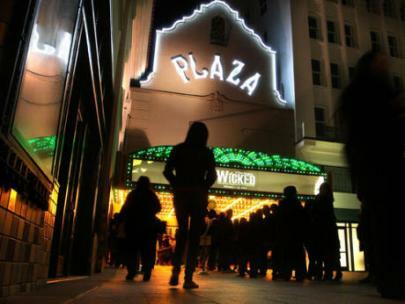 Wicked will play in El Paso, TX through Sunday, February 12, 2012. The musical is expected to bring in $2 million, and about 30,000 people have bought tickets for the first two weeks. The El Paso Times says people in the Sun City are also known to buy last-minute tickets. 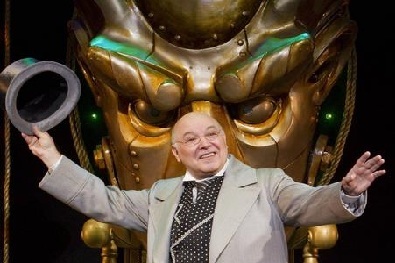 Wicked musical will have 16 shows over 12 days during its El Paso debut before closing on February 12, 2012. Buy Wicked The Plaza Theatre Tickets today. Get $10 OFF on Wicked El Paso TX Ticket Orders over $350! Use Code AFF$10.